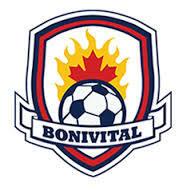 Bonivital Flames U14 girls are seeking an experienced female athletic therapist for their remaining half of their season. The remaining half runs from the last week in July through August, with the option of attending Nationals in New Foundland October 2015. 2 practises during the week with games on the weekend. For more information please contact Jaret Ditter at jditter@pembinatrails.ca or 204-770-9402.